Khaya Lam delivers the real economic empowerment of home ownership to township residents, deprived of their dignity and rights under apartheid, by facilitating the conversion of council owned rental properties into freehold title – at no cost to the recipients. 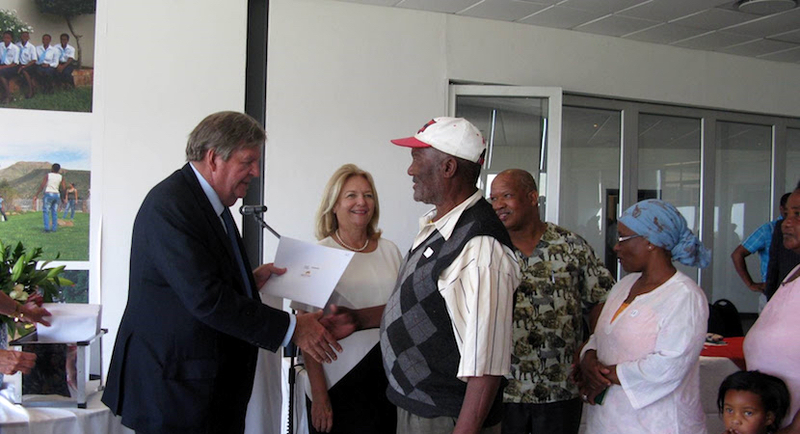 For more than 40 years the FMF has championed the cause of converting the numerous forms of Apartheid title found in the townships to full, unambiguous ownership for the current tenants. 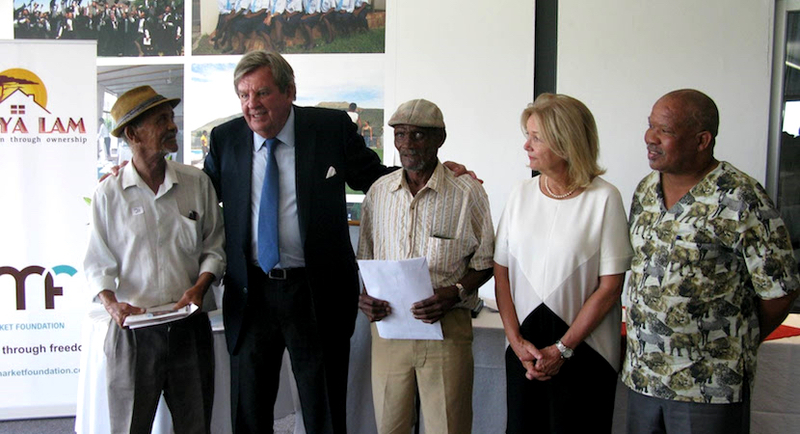 Before personally handing the title deed certificates to recipients, Johann Rupert said the people of the Karoo were a “special breed” and spoke about how poor both his mother and father were as “children of the depression”, and had never let him forget his origins. Anton Rupert, his father, used to remind him that this region produced the Rev Beyers Naude, Robert Sobukwe and the Cradock 4. He said they had a special bond with Aberdeen (all recipients were from Aberdeen) because it was Gaynor’s home town. Her father was a master-builder and built the magnificent church in the centre of Aberdeen. The FMF is an independent, non-profit, public benefit organisation, created in 1975 by pro-free market business and civil society national bodies to work for a non-racial, free and prosperous South Africa.